Home / Blog / What Happens With The Honduras Caravan? As I said with the 2014 invasion, and the most recent one, these migrations are coordinated by organized crime syndicates. 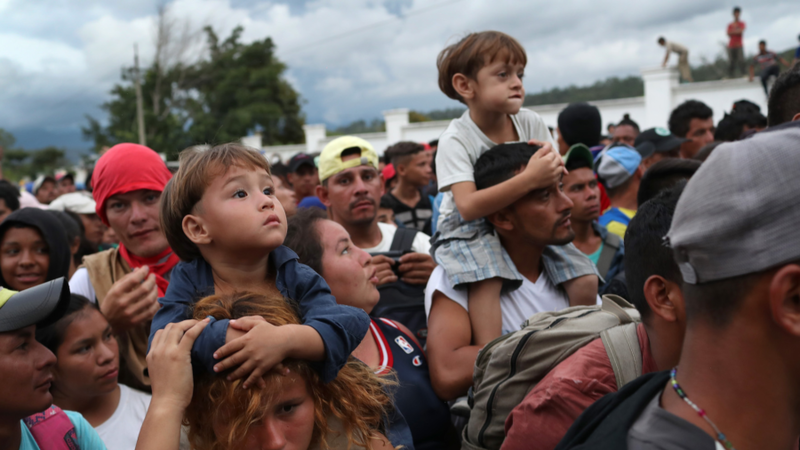 They take upwards of $10,000.00 per person (and remember these people are coming here because they have no money) to make the journey to our Southern Border. The organizer of this “March of Migrants,” Bartolo Fuentes, was arrested in Mexico and extradited back to Honduras under intense pressure by the Trump administration. When they arrive they intend to ask for “Refugee” status. But refugees and political Asylees have to be fleeing persecution at the hands of their government because of their race, religion, political opinion or sexual orientation. There is no such thing as an Economic Refugee. If there were, two thirds of the world’s population would be seeking refugee status in the USA. President Trump tweeted out that if the Honduran government doesn’t stop them, and return them home, all US Aid to Honduras will be cut off. Effective immediately. Finally, a president with the gumption to stand up against these Latin American countries by cutting off the rich elite from US money. Let’s wait and see if it works. I am sure there will be US immigration lawyers flying to Mexico to help these poor economic refugees by coaching them on what to say at the border. Problem is, it is unlawful for an attorney to coach someone what to say when they enter the USA. The Attorney General should investigate these investigate these left-wing attorneys and prosecute them accordingly if they have violated any immigration laws. Or, we could just build a wall. A real wall. One that works. Then Senator Clinton and Senator Obama and current Senator Shumer all voted for the Secure Fence Act of 2006. Seven hundred miles of it. But, put one brick in there and its racist according to the left. Mr. Jefferson is rolling in his grave right now. And unless we as a nation do something to stop this mass illegal immigration, this country is headed to the grave yard.